Get your brains going this April! 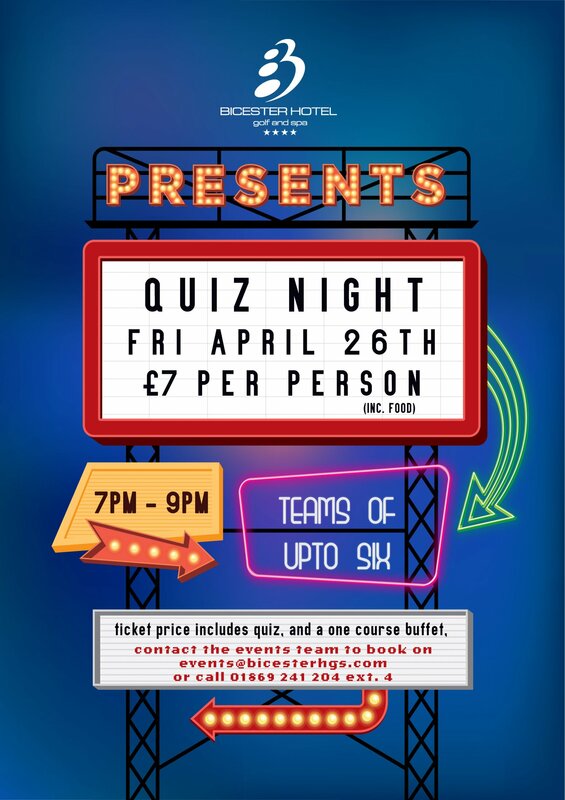 Join us for our monthly quiz which includes a one course buffet. If you think you have what it takes, contact our events team on 01869 241 204 ext 4 or email events@bicesterhgs.com to book your place. Teams of upto 6 & only £7 per person (inc. food).